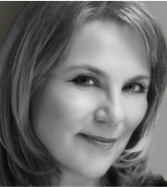 Ali has been an Audiobook Publisher for more than 20 years. She is the former chair of the Audio Publishers Association (APA) in the UK, a voluntary organization devoted to promoting awareness and sales of audio books. She also runs a consultancy business for audio publishers. Her clients include Bloomsbury, Pan Macmillan, Palgrave Macmillan UK, Random House, Harper Audio, Nosy Crow, Quercus, Macmillan Audio, Penguin Audio, Scholastic UK, Hot Key Books, Brilliance Audio and the British Library. She is an Audie Award-winning and Grammy-nominated audio book producer, producing for authors such as Jeffrey Archer, Wilbur Smith, Terry Pratchett, Clive James, John Simpson, Agatha Christie, and Debbie Macomber to name just a few. She has worked with a wide variety of narrators, including Derek Jacobi, Elizabeth McGovern, Dan Stevens, Emilia Fox, Richard E Grant, Bernard Cribbins, Emma Thompson (Grammy nominated) and of course her business partner, Lorelei King, with whom she co-wrote "Storyteller: How to be an Audio Book Narrator". Lorelei is an actress who has appeared in films such as Notting Hill, House of Mirth and (as the voice of MUTHUR) Alien: Covenant. She has played regular and recurring characters in popular British television shows such as Chef, Cold Feet, and Emmerdale. A multi-award-winning audio book narrator, she is one of the first inductees into Audible's 'Narrator Hall of Fame'. 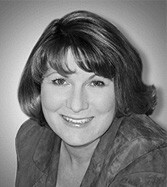 Once described as 'the best known American voice on Radio 4', Lorelei has recorded more than 200 programs for the BBC. She is the co-author and narrator of "Storyteller: How to be an Audio Book Narrator". an iPod, MP3 player or mobile phone, was going to become an even bigger phenomenon in the next few years. Lorelei and I were hugely excited by the opportunity to focus on publishing specifically targeted audio publications in niche areas that were likely to have global appeal to busy professionals like us, most of whom are long on ambition but short on time." Lorelei says "Digital download is one of the most exciting things to have happened in the Audiobook industry - and the market is growing every day.